Dance duo Artyon and Paige impress the viewers on America’s Got Talent Season 12 on Tuesday, June 6, 2017. “You two are well so rehearsed. I love it,” said Heidi. “You are talented and got great chemistry but need more experience,” said Simon. “I love it and I love the song choice,” said Mel B. “It was so exciting to watch,” said Howie. Artyon and Paige gets three yeses from the judges. They are going to the next round of the competition. 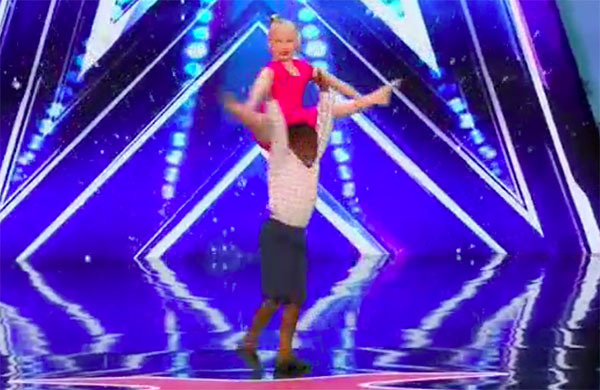 What can you say about Artyon and Paige’s performance on AGT Season 12? Share your thoughts and views on the discussion box below.